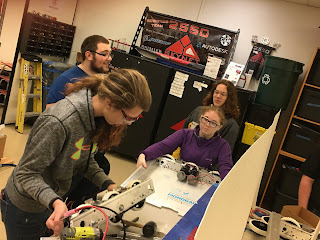 Can you believe we are already halfway through the FRC build season? That means we only have three more weeks for our competitive robot to be built, wired, programmed, and ready to go for competitions. While our mechanical team has been finalizing designs and prototypes, they completed two robot drive bases. Our programmers have been testing sensors and other competition code in addition to working with our scouting team to have a server up and running for data collection. 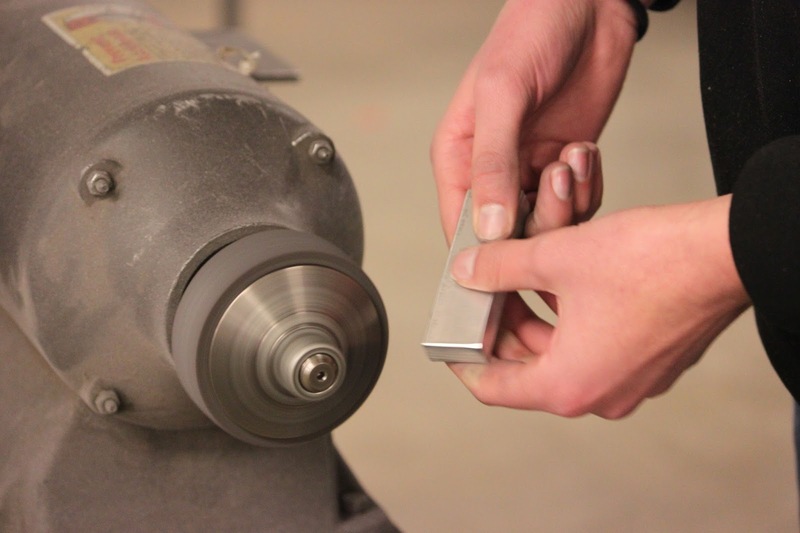 Our safety team has developed a useful incentive system for team members to continue to engage in safe practices in the shop as well as in the classroom. Safety first! Other team departments have been developing sketches and potential designs for our promotional materials to be given an arcade feel to match this year's PowerUp theme.